Let the countdown begin! 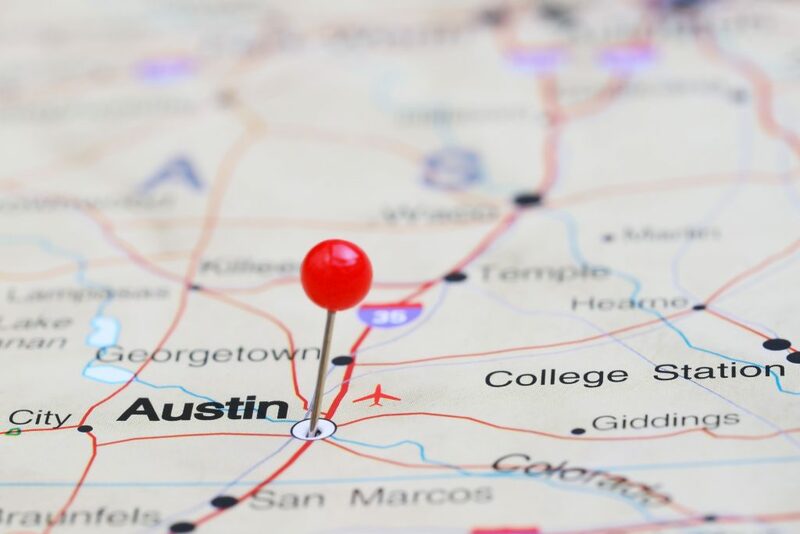 The Global Innovation Forum (GIF) is heading back to Austin, Texas this year for South-by-Southwest (SXSW) 2019 from March 9 – 12 and we are especially excited about all the global programming. Below is a list of our top picks for this year – covering a host of topics aimed at globally-minded entrepreneurs, businesses and government officials – as well as some unofficial events we plan to check out. 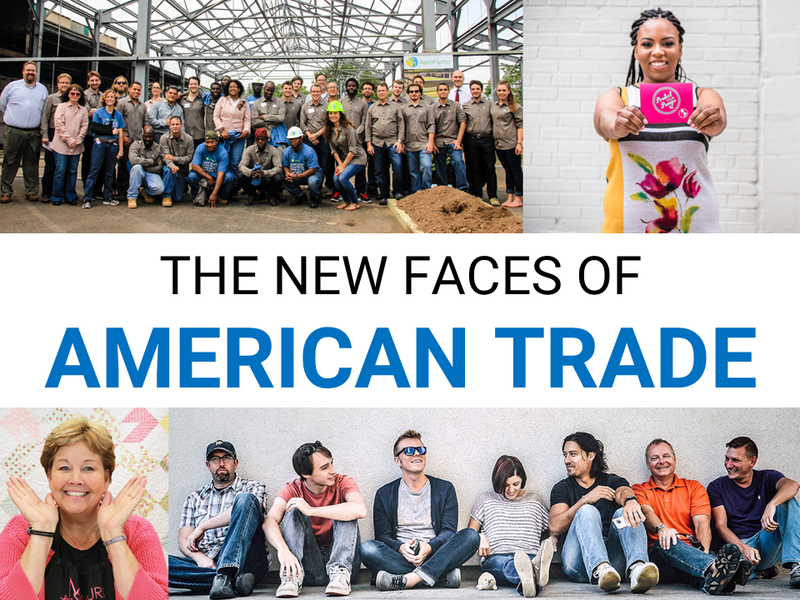 GIF organized an official panel at SXSW on Saturday, March 9 from 11am – 12pm on “How to Survive a Trade War.” GIF’s Jake Colvin will moderate the discussion with panelists Usman Ahmed of PayPal, Kavita Shukla of The FRESHGLOW Co., and Soumaya Keynes of The Economist. Be sure to stop by! 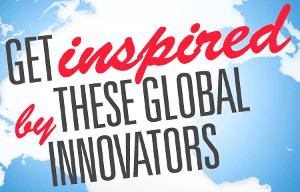 Continuing with our tradition, GIF will host a private, invitation-only brunch on Sunday, March 10 with PayPal and Intuit at Washington, DC’s WeDC House to discuss Simple Steps to Global Success with governments, startup and technology leaders from around the world. What are we missing? Contact us or tweet at us with additions or what you’re most excited about. You’ve got a great idea, but now what? Whether you want to produce and market your invention yourself or license it to another company, the best way for you to profit from your idea is to file a patent with the U.S. Patent and Trademark Office. Venture capitalists will often use IP rights as the determining factor to invest in a new business, and the presence of IP rights can make or break your start-up. USPTO’s Molly Kocialski will lead an insightful discussion with inventor/entrepreneurs Arlyne Simon and Steve Katsaros. Together they will discuss: how and why inventors should obtain the IP rights and how entrepreneurs will benefit from the protection they receive from the USPTO. Nationalism, populism and tensions over global trade and immigration are on the rise. The United States has implemented new tariff and travel barriers. Canada, China and the EU are retaliating against U.S. trade moves. Brexit is gripping Europe. China and other countries are contemplating new barriers to foreign technology companies. 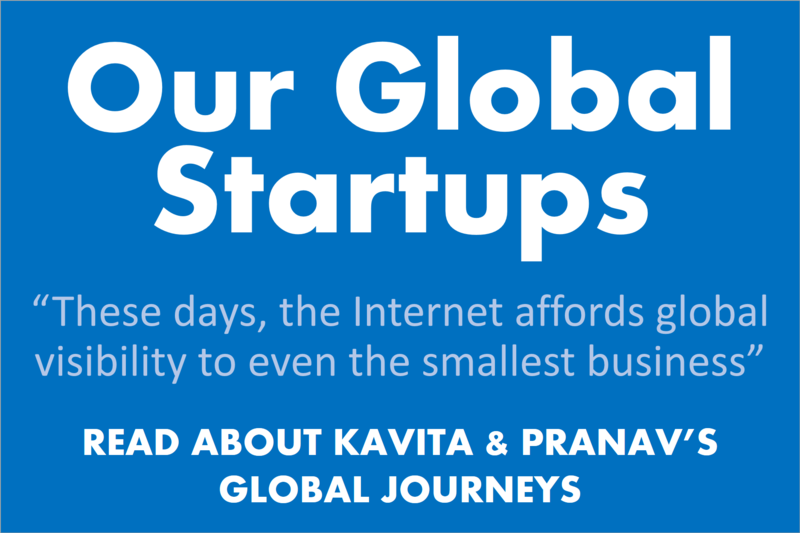 Join startups, technology companies and community partners to explore what increased global tensions mean for startups, what it means to be Born Global in an age of growing nationalism, and how to survive a trade war. Access to technology is creating a movement around female empowerment with gender tech. Hear how one of the world’s largest healthcare companies harnessed the power of mobile to provide important maternal health information, reaching 6 million mothers in 10 counties one text at a time; and how two entrepreneurs, accelerated by a global women’s empowerment organization, are using the power of collaboration for their ventures to bring about social change by disrupting gang culture through fashion tech, and using a crowd sourcing platform to curb sexual assault in developing countries and around the world. Moderated by the UN Foundation, these women will show how new tech platforms are tackling gender issues head-on and promoting the health, safety, and education for women at every age. The workforce landscape is changing rapidly. This discussion will showcase new efforts to drive critical support to women entrepreneurs who are leading the growth of the majority of top industries. It will also feature new approaches among tech companies to anticipate and creatively address our digital and data-driven future. It will demonstrate how companies in both the US and European Union are taking steps internally and within their corporate ecosystem to collect and analyze data and align their products and operations to encourage a gender-inclusive workforce and organizational culture. Privacy and data protection has emerged as the greatest regulatory challenge for the tech industry, but there are dramatically different approaches in the most important global markets. For the EU, data is something to be protected; for China, data is something to be controlled; the U.S. sees data as something to be commercialized. Fasten your seatbelt as we examine global extremes in privacy protection, what it means for Internet governance and citizen’s rights, and how global tech companies should navigate this complex landscape. When there are no rules, Silicon Valley’s favorite mantra is easy to follow. But when regulators are involved, it’s a much more complex and nuanced story. Innovators in certain industries have to be particularly mindful of these frameworks and rulemaking efforts, working between guardrails that—while often created with the best of intentions—can sometimes feel restrictive, archaic, counterintuitive, or all of the above. How can disruptors in heavily regulated lines of business continue to create the future, and do so responsibly? For years we have been growing increasingly politically divided. What has caused this and how can we stop it from becoming worse? This panel will include political experts who have each worked on prominent national political campaigns, government, or media. While politics has always had competing viewpoints, bipartisanship and cooperation has become increasingly uncommon in recent years. How do we get our leaders to embrace unity and cooperation once again? Tech hubs and smart cities have been de rigeur in recent years, but technology now allows us to work from anywhere. Through improved connectivity, online tools, and platforms, a web developer or designer can just as easily work from a farm as they can an urban co-working space. 5G and IoT are transforming agricultural industries too. This panel will examine whether tech could hold the key to balanced urban/rural development. Last year’s Facebook hearings made clear how powerful new technologies are, and how important it is for our elected officials to have an understanding of their basic mechanics. The public was outraged at Facebook for not protecting their personal data, but members on both side of the aisle didn’t seem up to the task of questioning Mark Zuckerberg. Unfortunately, data privacy seems to be only the latest technical topic that Congress has struggled with. So, while Congress considers future steps to take on technical issues, Congress should reinstate its own think tank of engineers that used to advise them on emerging technology: The Office of Technology Assessment. In this session, panelists will explore several potential future(s) of work scenarios based on two variables: government regulation and internet fragmentation. Are we facing a Techlash with heavy regulation and a fragmented internet? Or a Wide Open scenario with light regulation and a seamless internet? Or something in between the extremes? Panelists will discuss the pros and cons of each scenario, and attendees will have the chance to vote on the likelihood of each. Technology has been disrupting industries for decades—from streamlining business processes to propelling medical advancements. But, perhaps more than anything else, technology has increased access, particularly for communities that have been historically left behind. This panel will bring together leading founders and CEOs to discuss how they’re using technology to empower people, who have been overlooked and underserved, by democratizing access to some of our world’s largest industries—from financial services to education to healthcare. Regulation is necessary, especially in industries that have so much impact in the lives of millions of people every day. Across finance, healthcare, city services, and travel , customer demands continue to increase while the necessity to have rules and a maintained authority are pushing for control. How companies take advantage of innovation within these confines is tricky, yet not impossible. Learn how our panelists use regulation to help enable innovation, including how they develop a culture of innovation, take measured risks, work with compliance teams, and regulators to ensure their innovations make it into the hands of their customers. Rapid advances in technology are transforming our world and creating new avenues to lift up vulnerable populations. Yet, as digital economies grow, too many people are being left behind. Increasingly, consumers and employees expect brands to embrace sustainable and purpose-driven corporate social responsibility (CSR) programs while offering solutions that advance equity and economic mobility. Can companies create positive social impact while growing the bottom line? And can the private sector really solve inequality? Mastercard’s Parag Mehta and Netspend’s Vera Hinojosa will share their insights on how companies—big and small—can tap into their unique expertise, resources and technology to tackle global and regional issues while staying true to their brand, customers and employees. Hardware companies produce astounding innovations every day — powerful smartphones, self-piloting drones, autonomous vehicles, even rockets! — that offer the illusion of next-generation manufacturing. But the reality is most companies rely on a decades-old global manufacturing process of spreadsheets, late-night phone calls to Asia, and far too much hand-wringing. With tariffs and legislation increasingly becoming trade levers, the global supply chain is becoming increasingly difficult to manage. This talk from manufacturing innovator Dave Evans will break down how tech can help companies better navigate an uncertain global trade future. Like financial services, retail, travel and other industries before it, he will make the case for why manufacturing needs its tech moment now. In an era of great power competition, U.S. national security depends on the military having access to commercial innovation. The line between commercial vs. military technology is blurring rapidly as investment in commercial R&D outpaces investment in defense R&D by a factor of 3x-5x. Learn how the government is building a National Security Innovation Base to tap into this technology and safeguarding the crown jewels of U.S. innovation. Policymakers are increasingly recognizing the important impact creatives have on local economies. They are testing out innovative approaches to support them, embrace new markets, achieve international success, and get works distributed across borders — all while supporting gender equality. The discussion will feature the EU’s Creative Europe initiative, including MEDIA and Music Moves Europe programs, and will be animated by leaders in government and industry from both sides of the Atlantic. As new tools and technologies enable startup ecosystems around the world, entrepreneurs in these communities are starting to plug themselves into global markets. 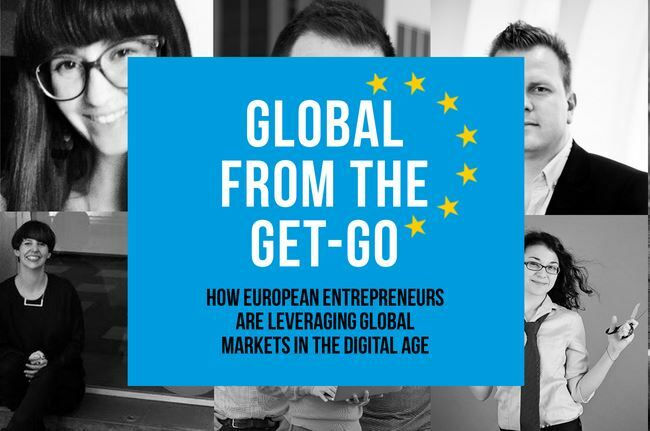 A new generation of entrepreneurs are realizing their competitive advantages in the global economy and are discovering new ways to leverage them. New technologies and processes are pushing us toward borderless and frictionless commerce, but how can we enable this new paradigm in mutually beneficial ways? How can we prevent established ecosystems from using these same technologies to reinforce the dominance of North over South? Our panel will draw from their experiences in fostering new ecosystems in Africa, the Middle East, South Asia, and Latin America to illuminate promising solutions to these challenges. Today’s regulatory environment seems to be changing at the speed of a Tweet. Former CFPB and Treasury official, prior capital markets and venture investor, and now consumer financial health innovation & policy advocate, Garry Reeder provides context for these regulatory changes and its impact on innovation. By taking a long view of strong regulatory environments versus eras of deregulation, we can understand which companies – incumbents or startups – will thrive in this new reality. Specifically, he will provide a playbook for capitalizing on current regulatory changes, the unique challenge facing fintech players, and how best to build a stable company able to weather future changes. The MVP is dead, and a lot of entrepreneurial “wisdom” is just wrong. In this talk, we will dispel some common misconceptions and reveal what building startups really looks like in 2019, with lessons from building businesses across nearly 200 cities and 60+ countries worldwide. Over the last two decades, European regulators have targeted leading U.S. tech innovators, placing heavy burdens on privacy, copyright, tax, and competition rules for major tech companies. As a result, some companies have pulled out of European markets or simply blocked access to their users in the EU. Is the EU too tough on tech? Are regulators too focused on promoting state-owned and/or subsidized legacy companies at the expense of market disruptors? The Latinx community accounts for more than half of the population growth in the US, but Latinx founders represent less than 2% of venture-backed companies. Hear from Latinx entrepreneurs and the investors who back them to understand who they are, what they’re building and how they’re making money. Attendees will learn what programs are already supporting Latinx entrepreneurs, what tips they have for recruiting investment and how together we can foster more inclusive entrepreneurship ecosystems. Google Cloud is changing the way startups start and scale their companies. Implementing clean infrastructure to a small company can drastically improve processes as a small company grows. Join Google Cloud and SMBs on the Google Cloud platform to see how best practices from the start allowed them to scale their company to success.